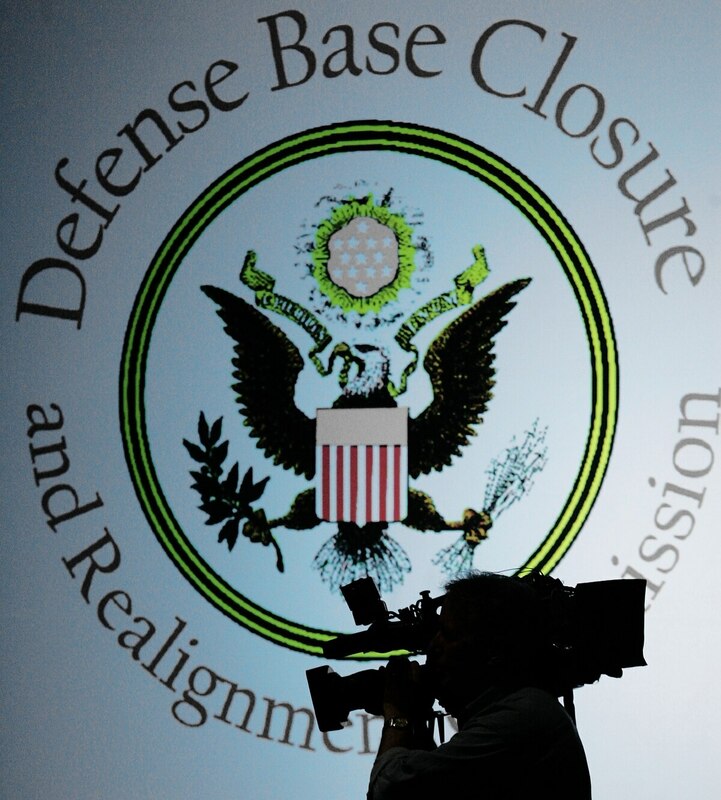 Pentagon officials won't get congressional permission for a new base closure round next year. But they might be inching closer. Both the House and Senate versions of the 2016 defense authorization bill again prohibit a new base closure round, despite defense leaders' repeated pleas for the infrastructure reduction tool. Lawmakers have called the process too costly financially and in terms of public support, especially given the divisive nature of the 2005 base closing round. However, the House did include language in its draft bill calling for a militarywide review of "force-structure plans and infrastructure inventory" that outsiders hope could be the precursor to another base closure round, by providing better justification for the need to shutter some military facilities. "To lose the prohibition on planning or investigating a new BRAC … that's the first step," Ryan Crotty, deputy director for defense budget analysis at the Center for Strategic and International Studies, said during a think-tank event on Capitol Hill last week. Supporters of a new base closure round have long argued that the military's infrastructure footprint needs to shrink as the fighting force draws down in the wake of the wars in Iraq and Afghanistan. Defense Department officials frequently estimate that they have up to 20 percent excess capacity at stateside bases and argue that a new base closing round could produce billions in annual savings. But lawmakers in recent months have publicly criticized that estimate, noting that it relies on studies done before the 2005 base closure round. They worry that another ambitious closure round could leave the military without critical resources — and, in some cases, their own districts with fewer jobs. "What we've had for the last several years are people pulling estimates out of the air," said House Armed Services Chairman Mac Thornberry, R-Texas. "We need to get a better feel for what the real number, the real situation is with our infrastructure." The new study calls for a review of possible excess infrastructure (including "the Secretary's objective for the reduction of such excess capacity") and an analysis of "certain excess infrastructure to accommodate contingency, mobilization, or surge requirements." Budget experts at the think-tank event last week were nearly unanimous on the need to trim the number of U.S. military bases, but also acknowledged the political problems that come with such plans. Janine Davidson, senior defense fellow at the Council on Foreign Relations, called the House plan a modest but important move by lawmakers. "We absolutely have to move forward on our infrastructure issues," she said. "So it is a great step forward that we get to study this now." That step ahead still leaves a sizable distance before the military would start closing down bases. A conference committee could still strip the provision calling for the report out of the final defense authorization bill. Even if it survives, the measure still won't become law until later this year. The House plan does not specify a timeline for when the report must be finalized, but does call for defense officials to analyze basing needs for the next two decades starting in fiscal 2017.